I have a major crush on just about everything at Banana Republic lately and their new fall arrivals are no exception. 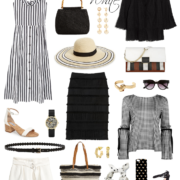 My wish list is already a mile long & growing more every day (I mean, how chic are these tasseled flats?). I scored this vest on sale last week and have been wearing it non-stop. I love the draped fabric and, because it’s a darker color, it will transition nicely into the fall (if it’s warmer where you live, I’d layer it over a striped tank with denim shorts). Right now, Banana Republic is running an amazing deal where you can get 40% off your purchase using code TREAT (ends at midnight tonight!). 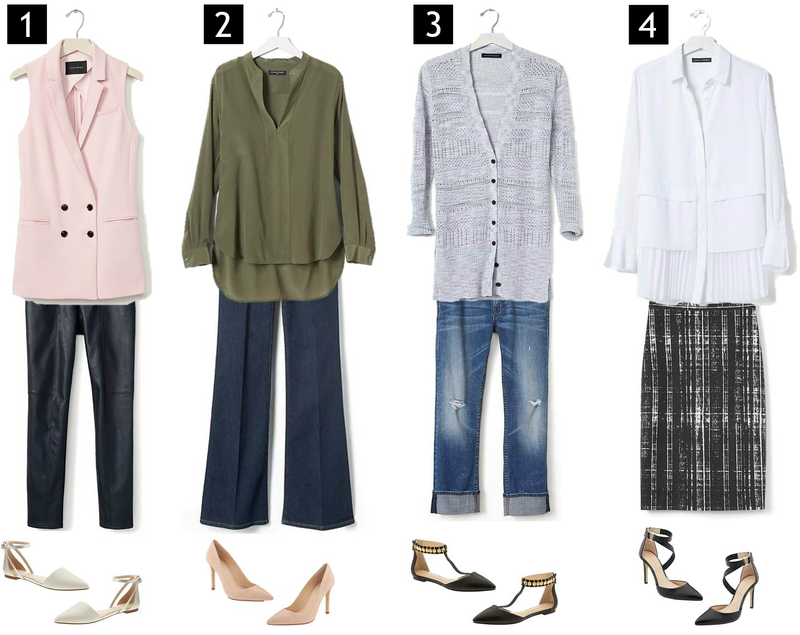 To help you navigate the sale, I’ve created four looks below using some of my top picks from their site (all under $70 when you use the discount code).